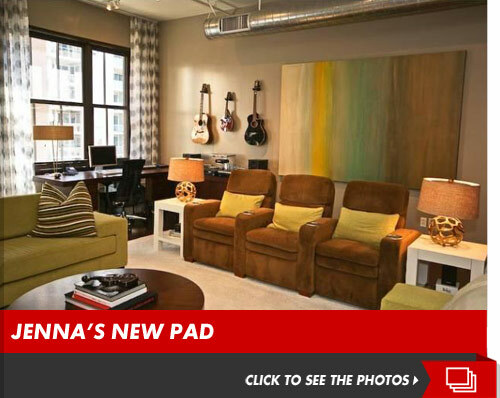 Glee Female Stars Addicted to Buying New Homes: Naya and Jenna! The "Glee" chicks are getting way too much dough to sing other people's hits songs ... 'cause 3 of 'em bought sweet new pads in the last MONTH alone! Naya Rivera -- aka the hispanic one -- is now in the Hills of Beverly after scooping up a 3300 sq. ft. home listed at $1.575 million. 4-bedrooms, 3.5-baths, indoor sauna AND a pool! Baller. for HOA dues. Dayuum, Jenna!